LONDON, England -- The royal family has released a new family photo for Christmas. The Duke and Duchess of Cambridge, Prince George and Princess Charlotte are seen in an outdoor portrait. 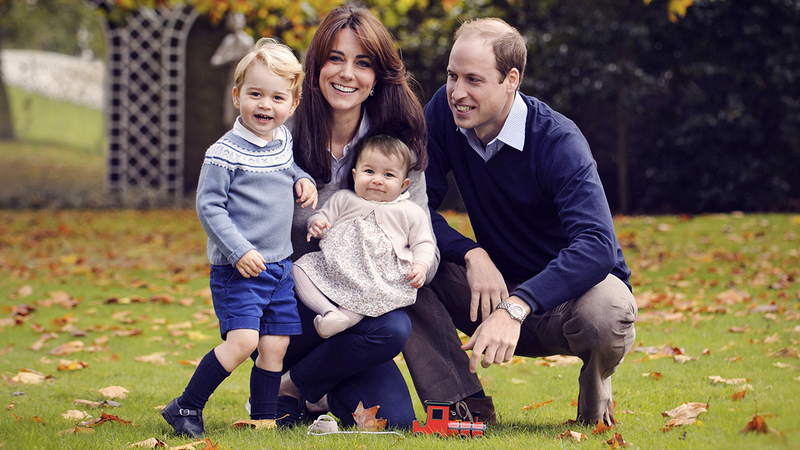 Kate is holding Charlotte on her knee and Prince George is standing at her side. They also announced that George will begin attending the West Acre Montessori School Nursery in January. The nursery school is located in Norfolk, 110 miles (180 kilometers) north of London. George is 2-and-a-half years old. The prince has been raised largely out of the public eye although he has on occasion traveled with his parents. The nursery said it looks forward to welcoming George and said "he will get the same special experience as all of our children."